Immigration has raised all sorts of questions and irrational answers. The mass movement of people is used to promote racism and distorted inhuman policies including calls for all immigration into Britain to be stopped. Currently there are two main movements of people. There are those within the EU who largely come from Eastern EU Member States. The other and not so large movement is by those from the African continent who are attempting to gain entry into the EU. This includes trafficking people in lorries and unsafe boats across the Mediterranean arranged by profiteers and gangsters. The EU Constitution stipulates that within the European Single Market there will be "free movement of capital, services, goods and people [meaning labour]". Those people coming from Eastern Europe can legally enter Britain as EU citizens. 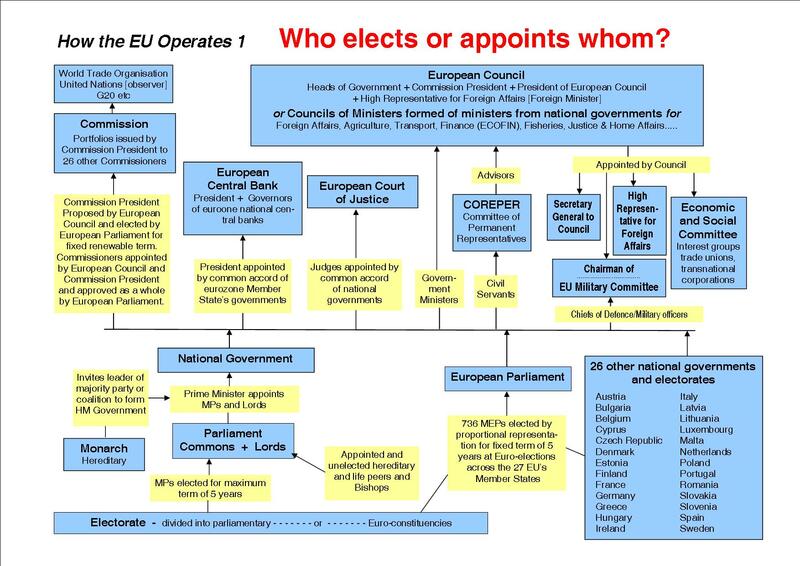 Incidentally we are all citizens of the EU as well as subjects in the monarchy of the UK. Those coming from outside the EU cannot enter without proper applications and papers. These non Europeans may enter if they are skilled or have a profession. The unskilled are not welcome. The common factor for both European and non European immigrants is that they are migrating for economic reasons. The Europeans are using the "free movement of labour" like a right within the EU. However, this is forced upon them because of the impoverishment in their own country. They are "forced" to move and are not "free" to migrate in the full meaning of the word. The distortion of their country's economy within the EU is a large factor behind this migration. This arises largely out of EU policies, directives and regulations which place severe restrictions on public sector expenditure and borrowing. In particular this applies to the 18 EU Member States in the eurozone. Employers, especially the transnational corporations represented in the European Round Table (ERT) of industrialists, are behind these policies and have encouraged the free movement of everything especially that of labour. They are very interested in bringing down the cost of wages in Britain and to rid themselves of the burden of social protection, pensions and hence of taxation. It is well understood that the duty of trade unions is to protect the conditions, wages, pensions and social protection of all who work whether or not they are migrants – otherwise it accelerates the "race to the bottom". 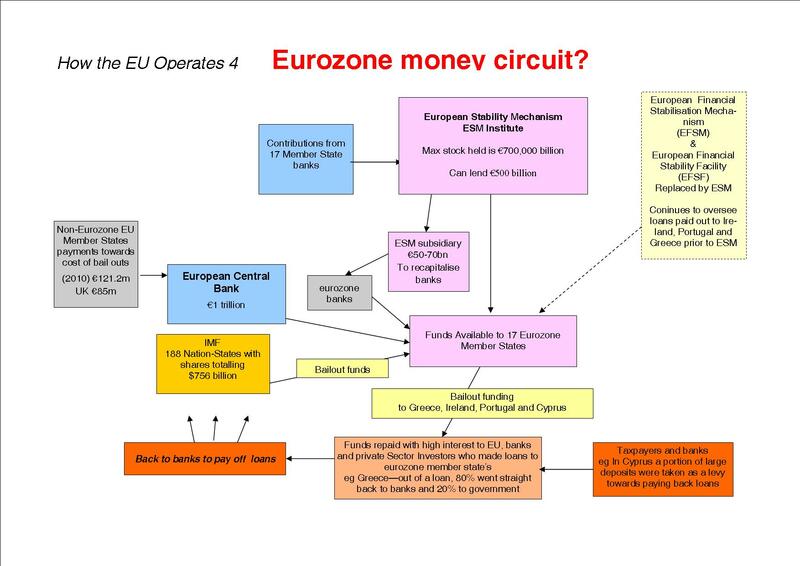 A full understanding of how the EU operates and objectives of the transnationals in this is important. The non-Europeans are forced to seek some refuge from the economic, political and social conditions in their countries. These conditions, not all, are largely brought about by the subjugate economic situation imposed by the imperialism which still exists. All the former colonies of European Empires are shackled to the EU in the unbalanced Contonou Agreement between 79 countries mainly in Africa and the EU (shown in green on the map). In practice these ACP countries have had economic conditions imposed upon them similar to the policies in force in the EU including restrictions on public sector spending and borrowing. As part of the Agreement they have had to open up their economies and markets to competition and privatisation. Lessons must be learnt about imperialism. The solution entails that each nation-state in the world attain the right to self-determination, national independence and democracy. Without the external military, economic or political interference the opportunity to create conditions and financial resources for far better lives would exist. With all this in place there would be no need for mass migration of people within or outside the EU. A part of this means Britain must have a referendum and quit the EU.